Why Meeting Planners Choose Jim? Are You a Chamber Executive? Where Can I See More Articles? Very helpful!· This program has provided insight that will help me to better understand and interact with the people around me. You are the best newsletter I get (or have gotten), ever!! Jim's talk about making the best of failure was particularly inspiring in a time when so many technology companies are struggling. I was at the conference in Myrtle Beach and thoroughly enjoyed your class. Thank you for being a part of our convention.· You added humor to a great message! Jim's presentation was outstanding, very energetic! He did an amazing job of keeping everyone engaged and focused on the topic at hand. Thank you for participating as an educational speaker for our KAHCF Spring Training. Your presentation to the Florida City Clerks Association scored a 4.89 out of a possible 5. This presentation made me realize that no goal is unattainable. Excellent presentation, to the point and useful! The SC Credit Union League appreciates your professionalism and the delivery of your topic...Your session scored an 8.89 out of a possible 10. Recognizing the styles of my co-workers will help in managing the office. I had both old-timers and rookies come to me during and after the Conference, and thank me for scheduling you to speak to the OAB. Jim, 'Thank you!' You made me look like a genius for hiring you, and every meeting planner needs that once in a while. You delivered on our Alabama Loggers Council program. This class made me more conscious of the importance of knowing each person on my team and working to value their differences and strengths. Jim did two topics for us Living in Three Quarter Time and Reaching Beyond Excellence - and he did a great job on both! As the session cranked up into full gear yesterday it was fun to observe everyone in attendance openly engaging their own personal traits, sharing them and seeking to understand others as well. I have known Jim Mathis for over 6 years...He is motivating, stimulating and thought provoking, yet down-to-earth and practical. Cathy Novinger, Novinger QTR Consulting, Inc.
As a result of Jim's program, I will try to understand personalities better and work with them to make a more friendly work environment. I need to get out of the cookie-cutter mold. I greatly value the information that you provided and I was going to keep it quiet (as my secret weapon in managing my people and resolving conflict). Christopher Porter, FOH Manager, Outback Steakhouse Inc. I went into your session intending to learn something (and did), you had the best presentation of material of any I attended. Jim's presentation was very motivational and informative. I will have a positive attitude decide what results I want and set goals and priorities accordingly. Made me realize, instead of fixing the employees, I need to fix myself. Jim was very considerate when I first inquired about him being a speaker at our conference and quickly adapted his program to fit our unusual circumstances in the aftermath of Hurricances Katrina and Rita. As a result of this seminar, I know better how to work well with others. The presentation renewed my vision for myself in the workplace - be true to my style and succeed. The best in-depth look into who we are. I want to thank you for the phenomenal job you did at the Marketing session during the NJCUL Conference. You truly motivated me and gave me great ideas for helping our credit union to market our services better. Your information was clear and concise. The attendee participation that you encouraged made for a good and educational time in this session. You were an incredible hit and an inspiration to all! You were the perfect fit to get the Conference off to a great start. I have received nothing but rave reviews! Thanks for making our Educational Workshop a success and for making me look good!! Jim was a tremendous asset to our program. We have a difficult time retaining attendees on the second day of our event. Jim's energetic and informative presentation kept people in their seats and was an outstanding close to the event. The audience was full of aha's as the things Jim said clicked with their experiences. He presented funny, but thoughtful and informative ideas for working with others and making yourself the best you can be. We will definitely have Jim back to Iowa. Jim Mathis was very entertaining and kept everyone up and awake for the 4 hour time span. Very good comments were all that were heard from the attendees. Learning about the different Learning styles will make me a better instructor. I thought it was very good information to help determine if we have the right people in the right place. You have a terrific way of presenting Time Management that is better than any I've seen before. Speaking customer's 'language,' taking a risk now and then will put us light years ahead of our competition. I know you always like feedback...I have heard nothing but glowing positives!!! Jim's presentation is high energy, informative and thought-provoking. Your overall score was 4.53 out of 5.00. The comments that were given about your presentation were 'Very thought Provoking', and 'The presentation gave inspiration and insight on how to be more productive and happy'. Thank you again for such a good meeting. 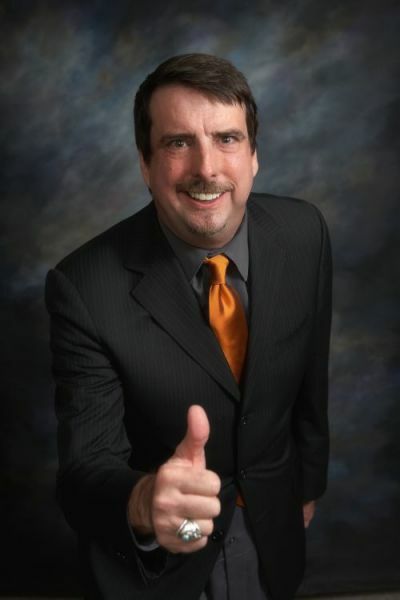 The Missouri Broadcasters Association selected Jim because of his unique combination of outstanding knowledge and expertise in sales and management coupled with his first rate ability to translate the DiSC system using anecdotal situations that helps the audience to readily see the benefits. I was very impressed with your talk and I have heard many speakers in my life time and you were very impressive. You fortified us with a wealth of information to help us understand and adjust our personalities, and deal with those of others. You have armed us with the ability to tactfully handle a personality in direct contrast to our own...and, as you may have noticed...WE HAD FUN! I have learned to care about my staff as much as I care about myself. Jim does an excellent job in his presentations; a part of the educational road to success. Wow! I am very impressed, motivated and ready to take on the world! Attitude is really everything. About one month ago, I saw Jim's presentation in Milwaukee, WI, during which I had an epiphany and have not been the same since. I am truly inspired to make things happen. Jim's presentation provided me with an opportunity to look inside myself and it allowed me to understand what others see in me. Jim was very motivating and energetic with his sharing of information. Jim's program was informative and really brought issues to think about to help any organization. This will help me get into the buyers head to deliver a better solution for them. Don't know that I have ever enjoyed a class as much as yours. It was delightful! Jim Mathis is an engaging and knowledgeable speaker. He is absolutely one of the best speakers I have ever booked. Our banking members are already looking forward to next year's session! Every state banking association should hold this seminar (Customer Service), not only for their members but for their staff as well! This was a wonderful presentation that is easily transferable to everyday life. I received many compliments about how well you spoke. I would be delighted to give my professional opinion that you are one of the best sales trainers in the industry. Jim provides information in a manner that is applicable to a variety of common situations that arise in a business environment. Jim cuts to the core of problems, making sure you can laugh at yourself and know how to improve while having fun. Great insight on how I can adapt my presentation to prospective clients and my agents. One of the best DiSC presentations I have seen. I am going to make $500,000 this year. The DiSC Sales presentation helps you determine what type of customers you have. Your average evaluation score on a scale of 1 to 10 (with 10 being excellent) was 9.7 for subject matter and 9.9 for delivery/presentation. Absolutely wonderful and entertaining program. Jim successfully melds a great deal of ideas into one, all with the central theme of leadership. I learned things I wish I had known before I was promoted - This could have helped my employees and myself a lot! Jim was entertaining and enthusiastic. It will benefit our servers to learn more about how to handle the customers we have. Your session scored an overall 9.56 out of a possible 10. On behalf of the SC Health Care Association, I would like to thank you for the Project Professionalism program you presented during our 7th Annual Seminar. I will know better next time not to put you last on the agenda! The comments show that the program was well received. JIM is a riot, even when he is teaching! Jim's presentation captured the ENITRE audience, not just the sales staff. Jim's seminar should be required for all leaders in coaching and managing positions. Jim's evaluation ratings by conference attendees were excellent. Today's seminar was insightful and reaffirmed conscious hiring decisions. I so much enjoyed your motivational talk when you visited with us. Thank you for sharing your talent and positive message with us. Jim's program has helped me to be more aware of different personality types and how to handle them. He gave great information and made it fun! Opened my eyes to behavioral traits that will make me much more effective in my job! Actionable ideas. Informative and entertaining! Jim paints indelible memories and knowledge in our minds using humor as his brush. Jim opens your eyes to all the different personalitites within every workplace. For myself being a High S and C, I learned to get along with a D and to COMPROMISE. On a scale from 1-5 the average for your session was a 4.91; THE HIGHEST OF ALL THE SPEAKERS THAT DAY!!!!! I loved this class. I am a naturally positive person, but feel even more positive after learning these skills today. Jim is a very clever guy! I feel like I have learned so much and can work as a better person. Jim was money well spent! If you are looking for a great speaker who has instructed thousands in motivation, personal achievement and organizational development contact Jim Mathis. This was more than self discovery, it was practical advice on how to set and reach a goal. This is the guy you all need to have come visit your office. Jim puts common-sense selling at the forefront of the sales pitch. Jim was very well received. Our delegates loved him and rated him as excellent on our evaluation forms. We had a scale from 1 to 5 with 1 being poor and 5 being rated as excellent and all of our delegates responded at a 5 and even 5++. As soon as I talked to Jim on the phone, I knew he was the speaker for us. I found that I have been limiting myself! I have heard many speakers with similar messages, but this is the first time that brought the 'Coaching for Success' concept to different personalities. I could have listened to Jim for hours. This gave me a very positive attitude and that happy feeling. Jim was very uplifting to all participants at the conference...his evaluations by all participants were very positive. Every single thing Jim said either made me think or laugh - I didn't want him to stop speaking. You did a fantastic job for our association. Entertaining and lively presentation on the need for leaders to be adaptable. Leaders need to flex their style in order to give staff what they need in order to be successful. Thanks again for the Management Training with my Leadership Team. Everyone was greatly impressed. I'm looking forward to having you back for the same training for all of our employees. Jim takes what we all know intuitively and gives tools to help leaders become better and those they manage become better. Jim can motivate the unmotivatable. Very well done. Would be useful to all levels of employees. Jim is fun to listen to and gets the point of his presentation to you in a memorable way. Jim's presentation was very well done; makes you think about more effectively working with your team. I found your presentation interesting, humorous, and uplifting. If more people behaved as you indicate they should, our families, neighborhoods, communities, and our nation as a whole, would be happier, healthier, and more secure. Jim Mathis was spectacular. He is a star in the making. If he is an example of our new members, then we old timers better watch out. Thank you for being such an inspiration to me. I just attended the LTPA Summit Conference in Lake Charles, La. and needed the hope that came from this. I live in an area that took a direct hit from the second ugly sister (Hurricane Rita). Thank you again for being a part of our recovery! I have attended many professional programs and by far this was the most inspiring and in depth. This has changed me and the way that I will operate with my organization. Jim gave us some great ways to improve our business attitudes! I'll have to be honest with you and tell you that I have taken a few points away from each of our sessions. I have been through several dozen trainings over the years. This presentation opened my eyes more than any other. I can put this to use walking out the door. A laugh out loud presentation! It was an early morning presentation and I didn't want to be there. 15 minutes in I was laughing and really enjoying and learning. Very charismatic. High energy presentation. I enjoyed his presentation and use of examples we could all relate to. Jim's Program and his presentation helps you see the 'whole picture in color--not black and white. Thanks again for speaking at our annual convention. We had lots of good response from your session and appreciated your message. Jim's program was motivational, enjoyable and funny while being educational. This training taught me how to deal with others. Good job! It will make a difference in my life. I had men and women from 17 states and they all made a point to thank me for getting such a great speaker. I learned SO MUCH from attending your seminar!!! It gave me a better understanding of why I act the way I do. The time you took to be with us is greatly appreciated and your meaningful presentation was well received by all in attendance. Jim is one of the most enthusiastic speakers I have heard. He made learning fun and involved all the personalities in the room! I enjoyed his enthusiasm and his explanations of basic personality traits. This could be used throughout our station. Very good with relating material to real events that occur within our particular business. According to my 'calculator' averages (sorry, I had to change the 20's to 10), for Subject Matter, your average was 9.5 and for Delivery and Presentation, your average was 9.9. From a meetings planner prospective, he was a JOY to work with...very low maintenance. The participants gave your presentation 4.8 out of 5 at our recent HR Conference. You really did a great job, and I have already received numerous calls complimenting you on your presentation and me on getting such a great speaker. I appreciate you making me look good. I didn't know I was such a good leader! You garnered a 4.86 out of a possible 5 points. Excellent work! I was very pleased with your evaluations, our members are a tough sell and you delivered! This was the best, most applicable part of the week. Jim gave practical ways to reach my staff. Great for companies that constantly have change and develop teams daily to implement processes or procedures. Jim's program is not only insightful, it is fresh and original. Jim Mathis is the hottest ticket in Broadcaster Sales training! It helped me understand the different personalities of my co-workers which will enable me to communicate and interact more efficiently.